You don’t write the story. Yep, it’s true. You aren’t doing the work. You set it up, sure. You have some vague notion of where the plot is going. You probably even have an ending in mind. But you don’t write the story. That is the job of your characters. As soon as you create them, don’t try to control them. They have become living beings in your computer or notebook. They have brains, hearts, emotions. They will do what they please. If you realize this, life will be so much easier. I’m sure many of you writers already have, but this writing rule is just beautiful to me. Maybe I’m weird. I mean, I am weird, but maybe weirder than I think. Anyways, let your characters loose in your pages. What are your favorite writing rules? I would love to hear them! With my current reading list, I’ve come to almost idolize two writers who are completely new to me. Not the people themselves, but their flawless writing style. These two writers are John Green and Ayn Rand. 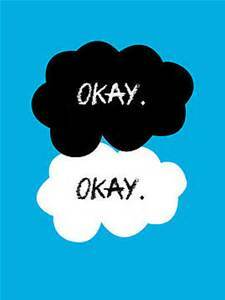 Okay (hahahaha John Green joke. It hurts.) if you’ve read any John Green, I’m sure you’ve noticed his extensive, almost over-the-top vocabulary. 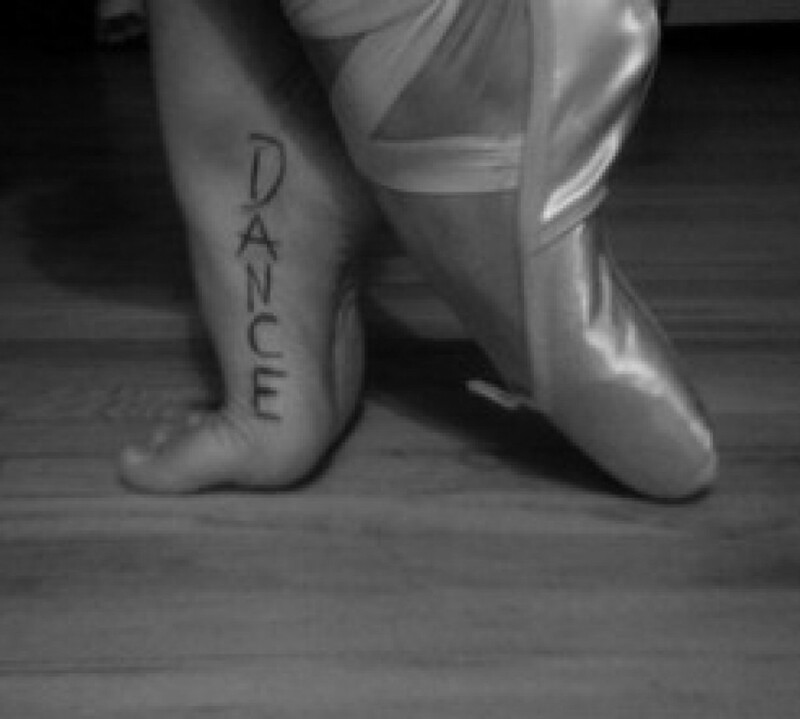 Well I love it. I think it’s beautiful and charming and it added so much to the story for me. I loved his use of the English language, besides the cussing. I could do without that. Reading The Fault in our Stars was like reading poetry. Acceptable poetry. Now, Ayn Rand is a completely different story. 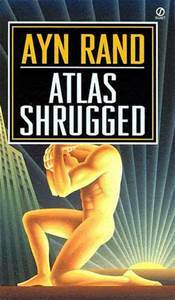 I’m reading Atlas Shrugged and I am constantly finding myself in awe of the woman’s genius. That’s the only way I can describe her writing. It’s bleak, and technical, yet so very descriptive. She thought of ways to describe characters that had never occurred to me before. She has created an entirely new scope of imagination for me. I realize that, as a writer, I have to find my own voice, my own writing style. But if I could choose, it would be an equal mix between these two incredible writers. Feels-Crushing books… that you’ll absolutely love. I do try to stay away from books that leave emotional scars, but I just can’t help myself. They’re too fantastic. Here’s my top picks for books that will make you cry, but you won’t regret it. First off, the book was written beautifully. Story aside, the idea of Death narrating a book was absolute genius. It makes The Book Thief completely unique from any other book I’ve read. Some might say the writing was choppy or disjointed, but I think it flowed exactly how it was supposed to. It definitely conveyed a certain feeling, from the first line of the book to the last, bold statement. I cannot express enough how genius I think the whole thing is. And the story itself… wow. This is not your average World War II story. It’s not about the Holocaust, or even about the Nazis specifically. It’s about Liesel. It’s about her world, her little world on Himmel, and how it was slowly, forcefully, expanded by the war. It’s about her friends, her foster family, and most importantly, her books. Her beloved books. I don’t want to put too many spoilers in here, but I must say a few things. Max Vandenburg. God bless his fictional soul. He was my favorite character. I simply adore Max Vandenburg. Don’t get me wrong. I still love Hans, Rudy, and the main character herself, but Max just stole my heart. Rudy… poor Rudy. Never got to feel his kiss from Liesel. That scene reduced me to a pathetic puddle of tears. Again, I loved the book, though the language bugged me a little.